Students and employees in Cowley College’s Housing Department took time to read to IXL Elementary students in Arkansas City as part of the 100 Days of Reading celebration. “It is good for us to get out in the community,” Cowley College executive director of student affairs Jason O’Toole said. 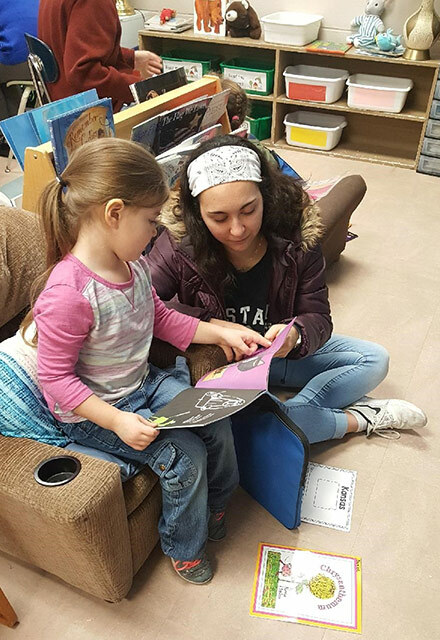 “The little kids love to see the college students come out to read to them.” Along with Cowley College resident assistants, dorm managers and Director of Student Housing Lynlea Bartlett volunteered their time.